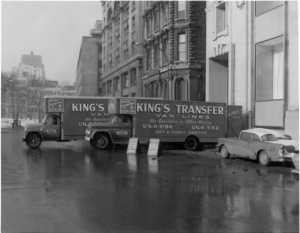 King's Transfer Van Lines > Blog > Moving into a high-rise apartment? How to prepare! Moving into a high-rise apartment? How to prepare! Moving into a high-rise apartment building can be very difficult. Preparation and organisation is an absolute necessity to guarantee a smooth moving day. Apartment buildings like to know when you will be moving. It is best to schedule a meeting with the building manager up to 30 days before the move depending on peak moving days. When meeting with the manager you will go over the buildings regulations for the move day. It is important to know that most apartment buildings suggest/require booking the elevator the day of the move. Ask your apartment building if they have a loading dock. If they do let your moving consultant know the height restrictions. If they do not have a loading dock then parking permits and “No Parking” signs may need to be ordered with the local municipality to reserve parking spaces for the truck. 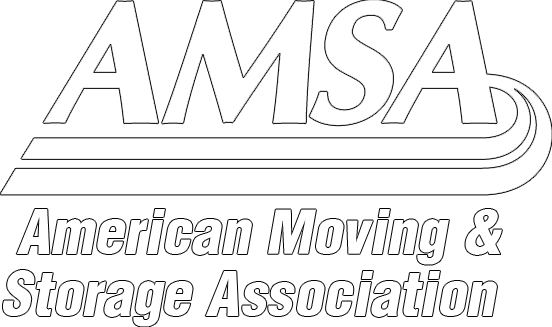 When moving into a high rise building – a third or fourth mover is necessary to be by the truck always (they have two jobs to load the truck and guard your belongings), to assist in moving your belongings through the hallways, and to keep an eye on them while waiting & unloading the elevator. As incredible as it may seem, the bigger the building / the stickier the fingers passing by. We’ve seen most of what goes on, and still are dumbfounded sometimes. Remember: the length of time of your move will increase in a high-rise apartment. The distance from the truck to your new apartment/condo is usually much longer and you need to take this into account along with the wait times for the elevator. One more thing to consider! When moving from a house to a high rise you need to keep track of your bulky furniture. Acquiring the measurements of the elevator beforehand will allow you to be able to know ahead of time whether everything will fit in the elevator. The more you prepare = the more manageable the move!